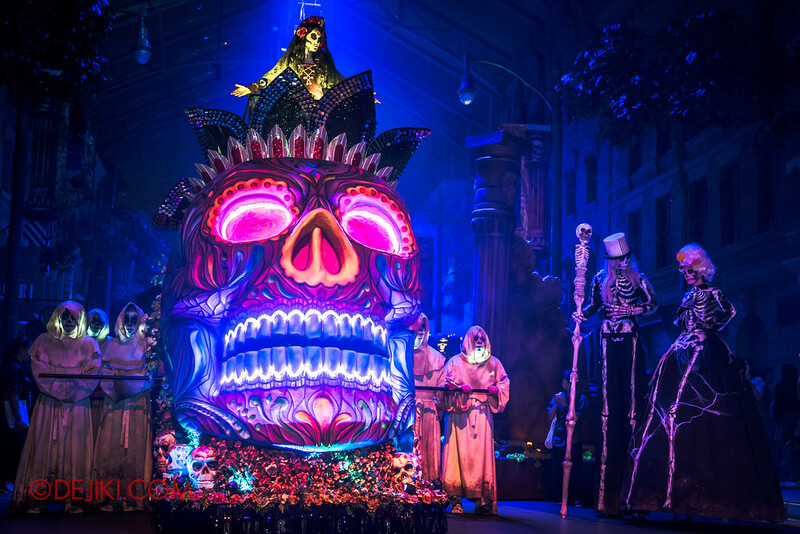 Peek inside Lady Death‘s dangerous realm of darkness in our SNEAK PREVIEW of Universal Studios Singapore’s Halloween Horror Nights 6! 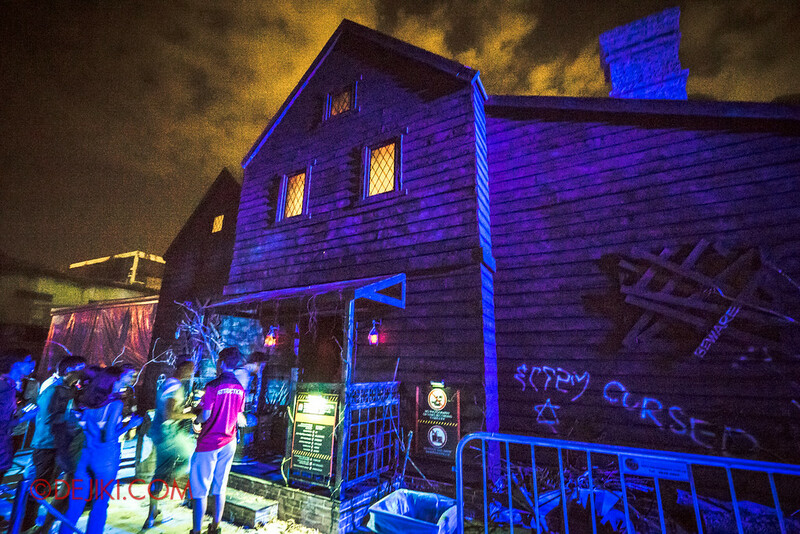 This Sneak Preview offers a first look at this year’s Halloween Horror Nights. A delicious taste (or a tease?) of the event. The SURVIVAL GUIDE and SPECIAL FEATURES series will be published throughout October. 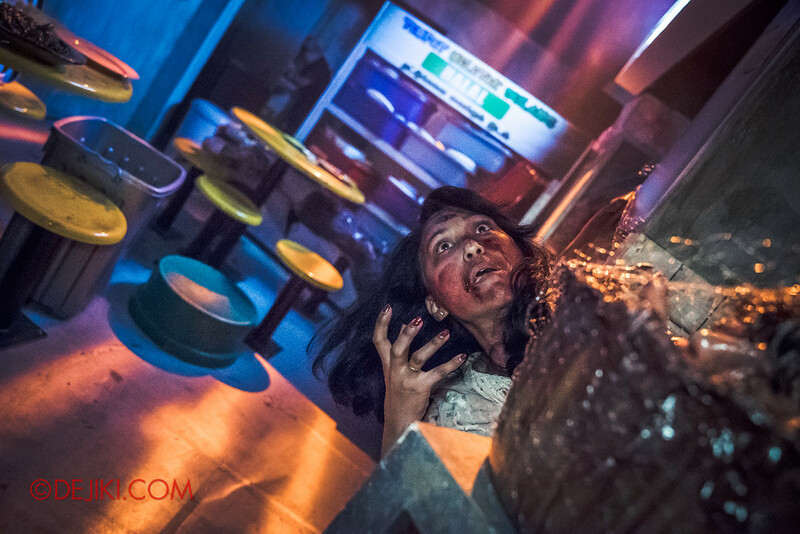 With frights and horrors at every turn, we are truly engulfed by the darkness within at Universal Studios Singapore’s HHN6. 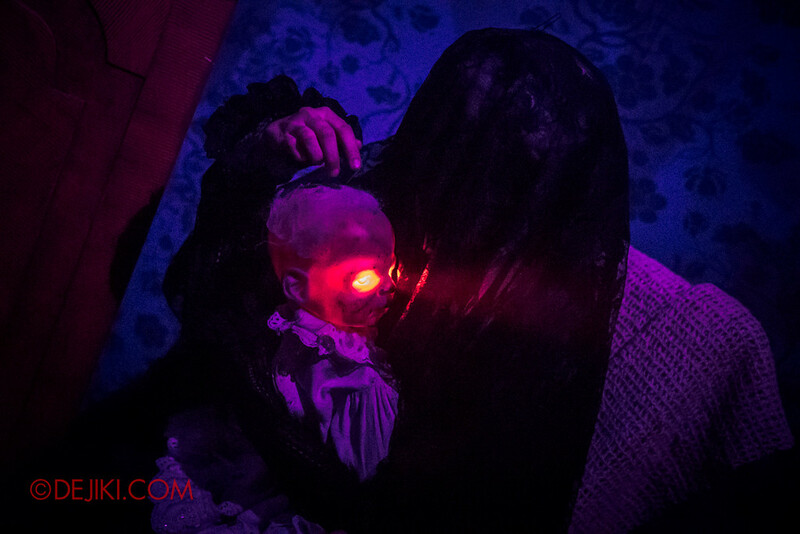 Some of this year’s haunted houses are the best the park has ever done. Extraordinary detailing, and amazing execution. 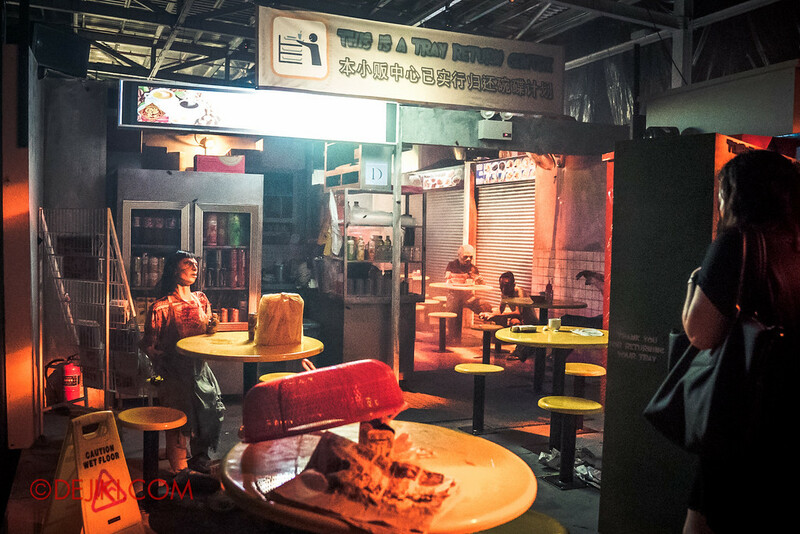 There are elements that were never done in Singapore’s HHN (or even around the world, perhaps?) All of the houses are satisfyingly long, and many with good surprises. They each have a very ‘unique experience’ moment, and frankly I find it hard to pick my favourite. I’ll go with all 5 of them. Ok, I’ll need to think about it. 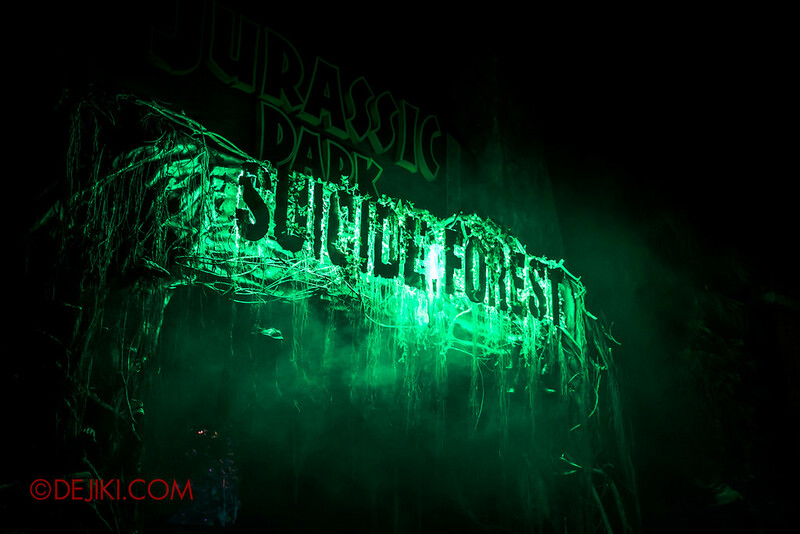 And on to scare zones: Suicide Forest is a mash-up of the better ideas that were previously executed at the Jurassic Park zone. 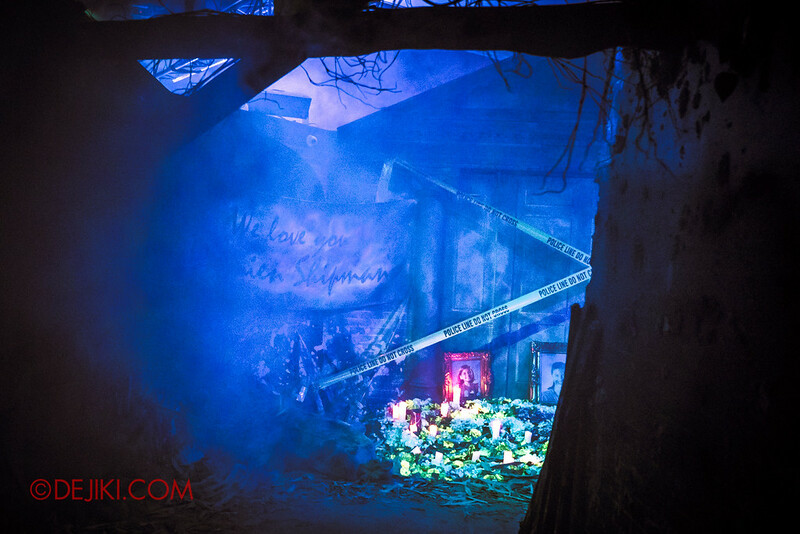 It’s chilling, and there is even a spooky tunnel. 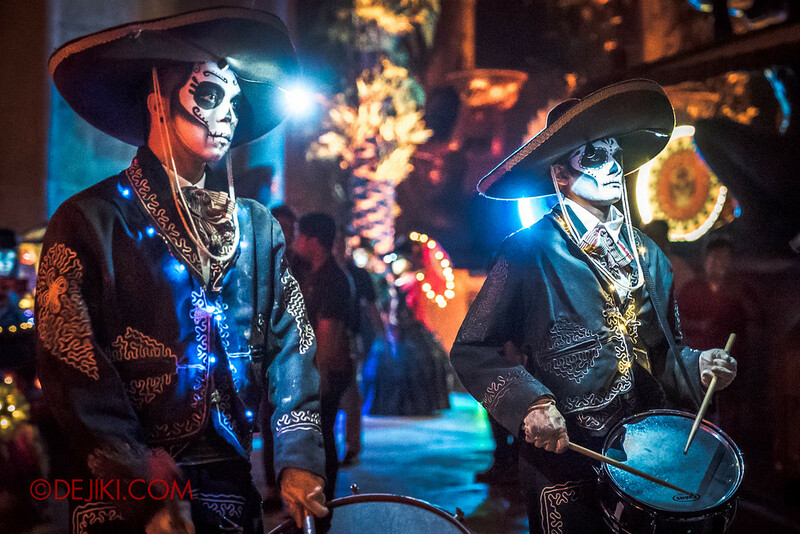 March of the Dead, while elaborate and beautifully designed, felt more like a funeral than a festival. Probably because the last 2 years was so action-packed here. But it seems like the park is balancing the crowd across all of its attractions this year, and that includes the usual theme park rides. We’ll have to see during the actual event nights. I won’t go into more details here, as the full review should cover everything. 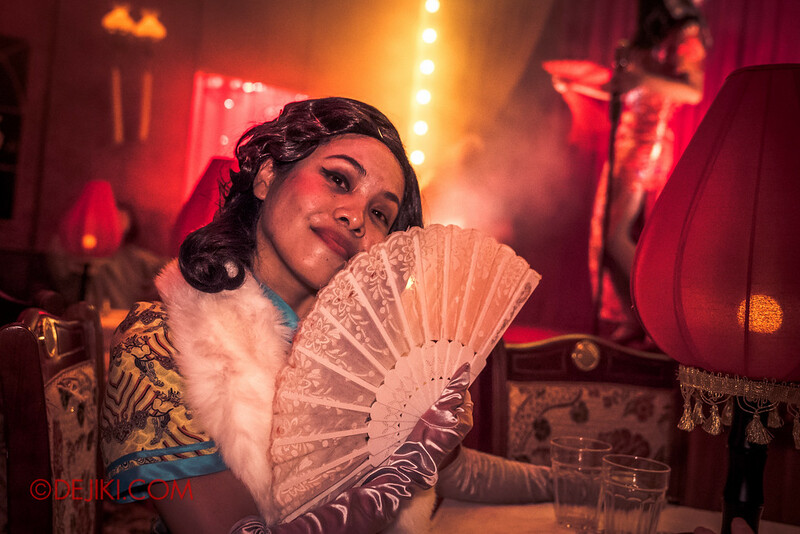 Enjoy these teaser images, and look forward to more images throughout the next few weeks! Bonus! 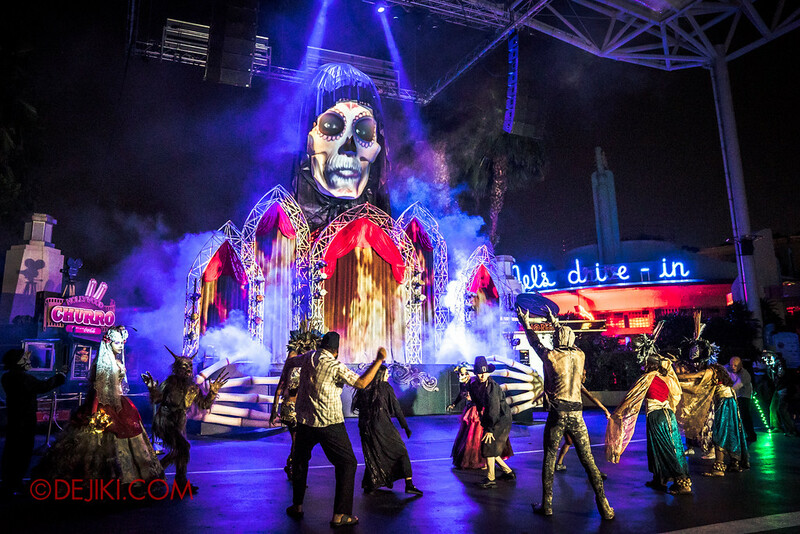 Since you made it this far, enjoy a video of the opening scaremony! 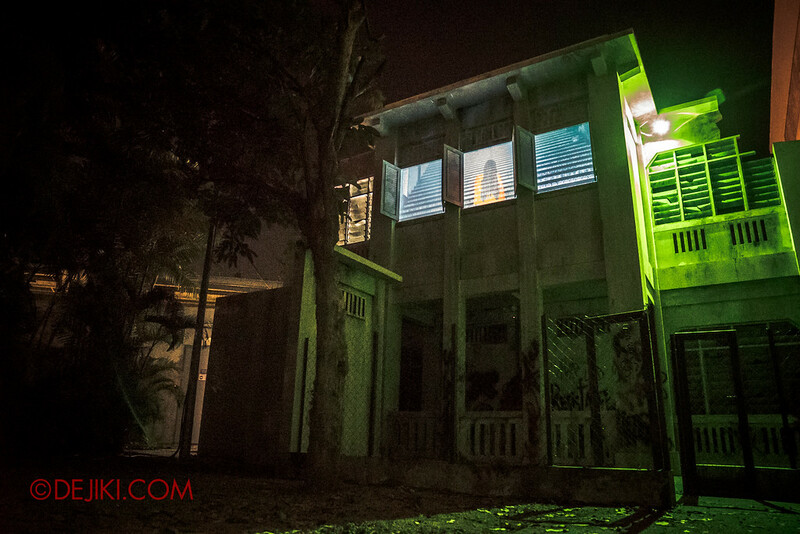 Hope these teaser photos will last you through the next few days. 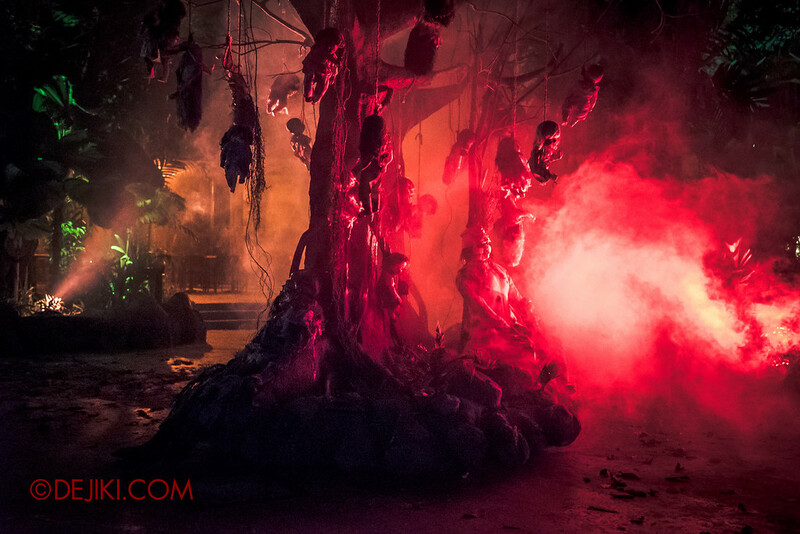 We will be posting the HHN6 Review, Haunted House and Scare Zones special features. 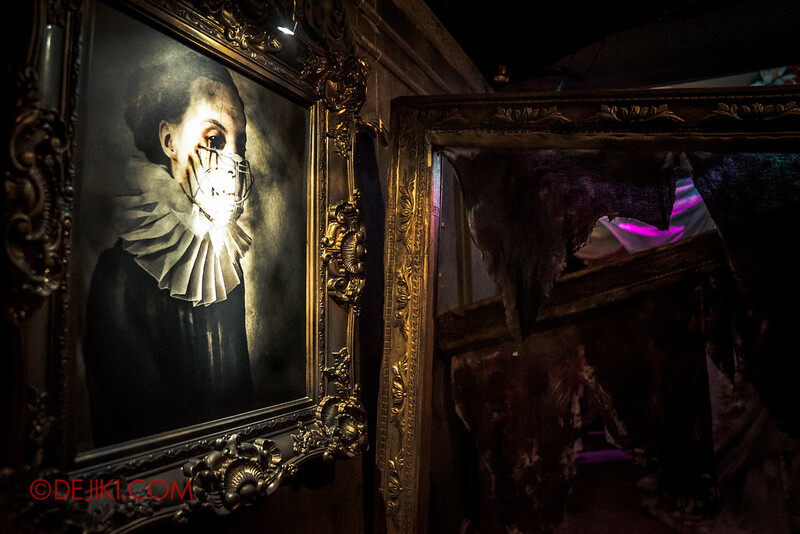 Even more updates on Halloween Horror Nights 6! 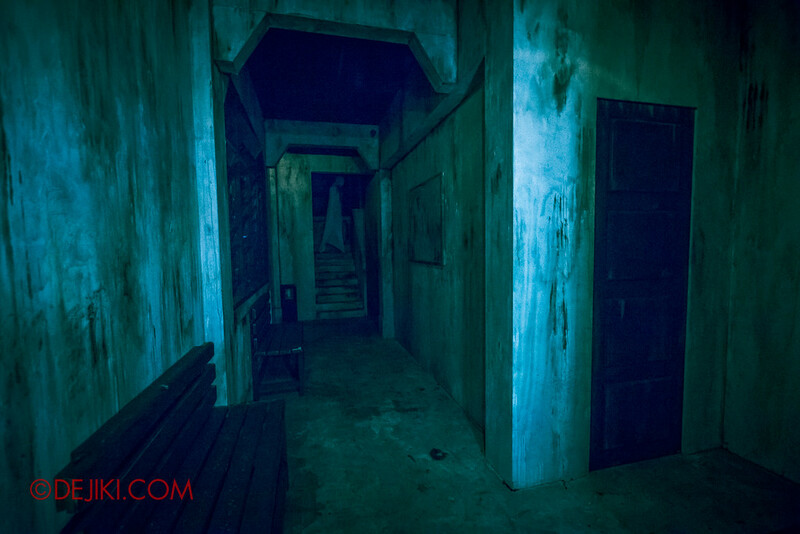 Want more updates on HHN6? Like Dejiki.com on Facebook today! 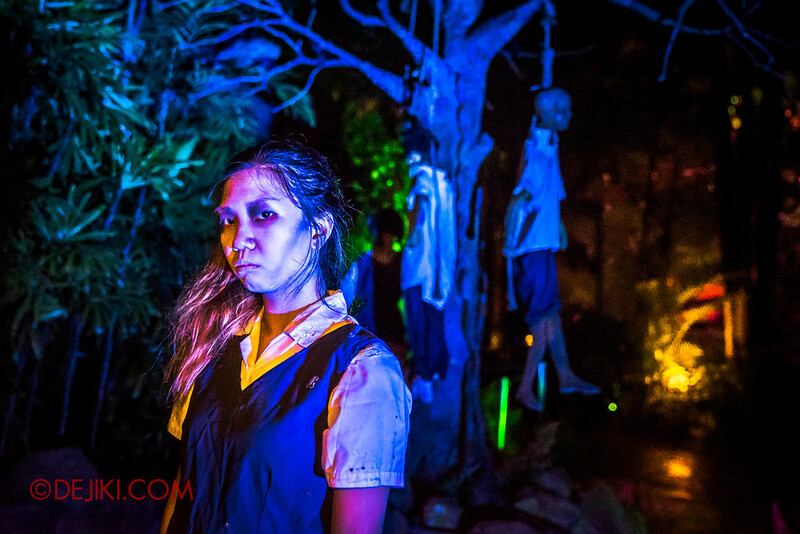 Get all the event and ticketing information on Halloween Horror Nights 6 at the Halloween Horror Nights 6 REVEALED post or grab your tickets from the HHN website today. Thank you for your updates. I always look forward to it. May I know what camera are you using? VERY NICE PHOTOS YOU GOT THERE! Any editing software you can recommend? 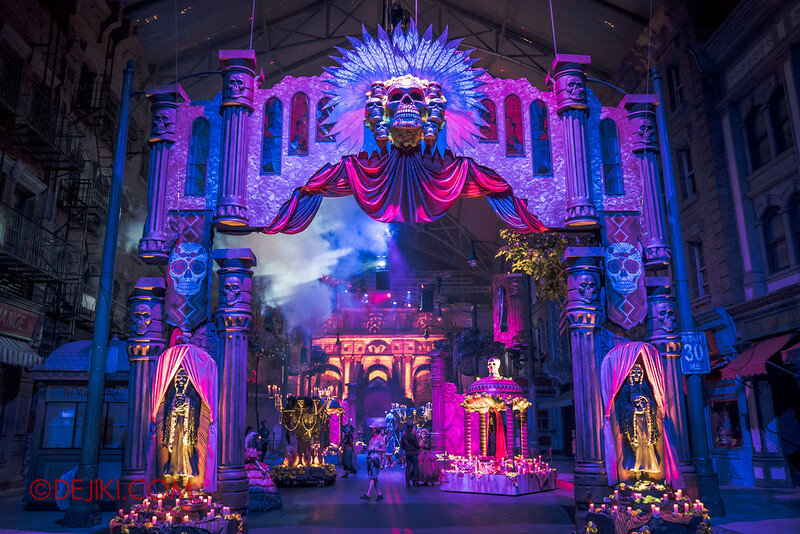 Would love to see your detailed report of the opening ceremony! Seems like they incorporated quite a no. of elements from the past years. Hi, Can you upload here a movie from inside the house of “Bodies of Work”?? Thanks!! 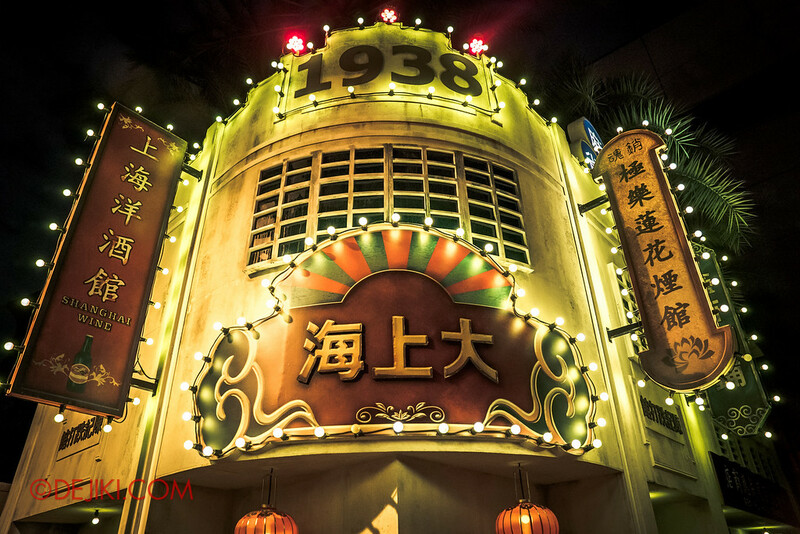 Apart from the Hu Li’s Inn walkthrough, there will be no videos of haunted houses – the houses are best experienced in person.